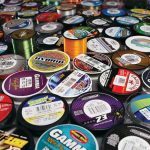 Choosing the right fishing line helps to boat more fish! The shelves in retail stores are loaded with different fishing lines. But what do you really need to use to help you boat more fish? 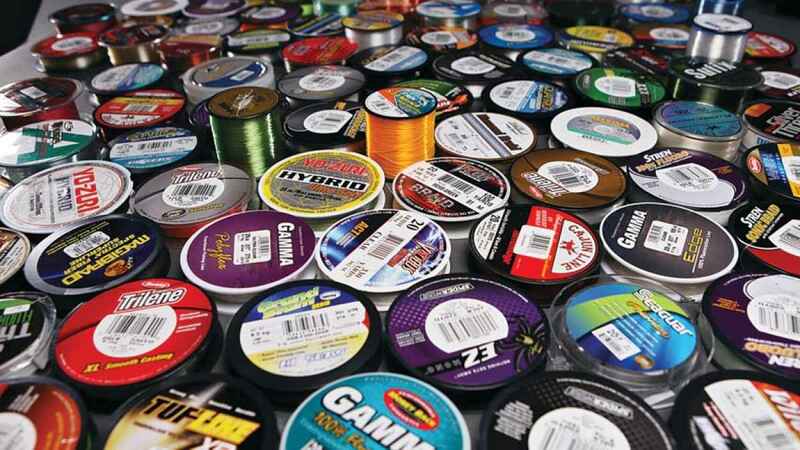 There are a few items one must consider when choosing a fishing line. Let’s look at choosing the right line for different species, techniques & lakes anglers may use while fishing the Woman River Chain and the numerous portage lakes Woman River Camp & Outposts has to offer. The waters vary between gin clear like in Confederation Lake and Spot Lake to really stained like in Narrow Lake and Corless Lake. These waters are never murky with a high amount of suspended solids where fish can’t see very far. Under murky conditions, coloured lines are fine. Jigging and slip bobbing – a slow presentation where fish have a chance to examine the bait before biting. Shallow water fishing (1-20 ft) – not much line stretch in such a short distance. So I like to fish with a clear fluorocarbon line in the 6-10 lbs strength. 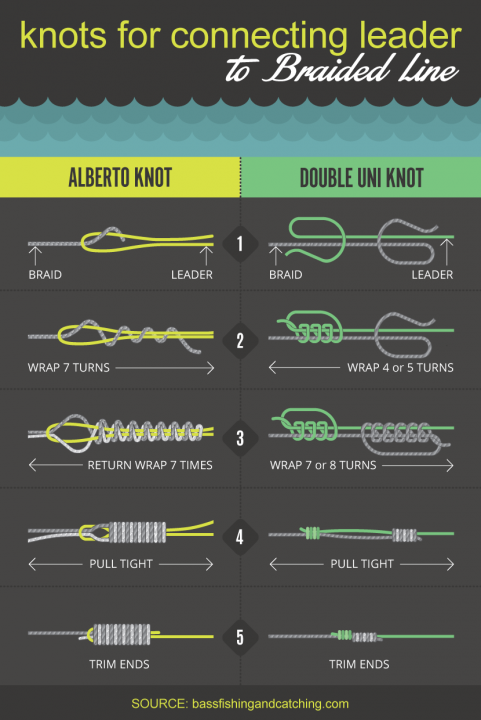 Easy knot tying and the fish aren’t spooked because they have a tough time seeing the line. Incidental bite offs from Pike will happen but you are less likely to catch Walleye with a big honkin leader attached to your jig. Fishing 20 – 35 ft – (I don’t like to target Walleye deeper than 35 ft because they can get the bends and will die from it later.) But at depths deeper than 20 ft., I might switch over to a no stretch braided line. I like to insert a barrel swivel between the braid and add a piece of fluorocarbon line as a leader. A minimum of 12 inches so I usually start with 3 ft and when it becomes too short, tie on longer piece. 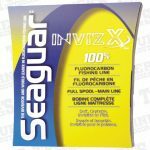 This will eliminate line twist, line stretch, and still provide an invisible leader when jigging. 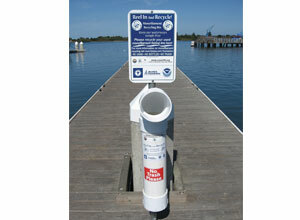 Remember you have a barrel swivel attached and don’t reel it into the eyelets of your rod. Trolling – when trolling crankbaits or a spinner rig, I like to use green or smoke coloured lines. I do use braided line to ensure no line stretch and a good hook set. I also back off my drag a little more to help with the sudden shock to the set up from fish whacking the bait. A lot of the time, I am using my “Pike rod” for trolling with a 12-17 lbs test line. Especially for cranks and spoons. I then tie on a 5 – 6 ft piece of 60 – 80 lbs fluorocarbon leader material directly to my braided line. When I cast I have about 6-18 inches of line out and the knot travels in the rods eyelets. Most of the time, I take the time to tie my crankbaits and spoons etc. directly to my line. This will give your lure the best action. Adding a 5-6 ft leader will allow me to tie multiple times before I consider my leader to be too short. 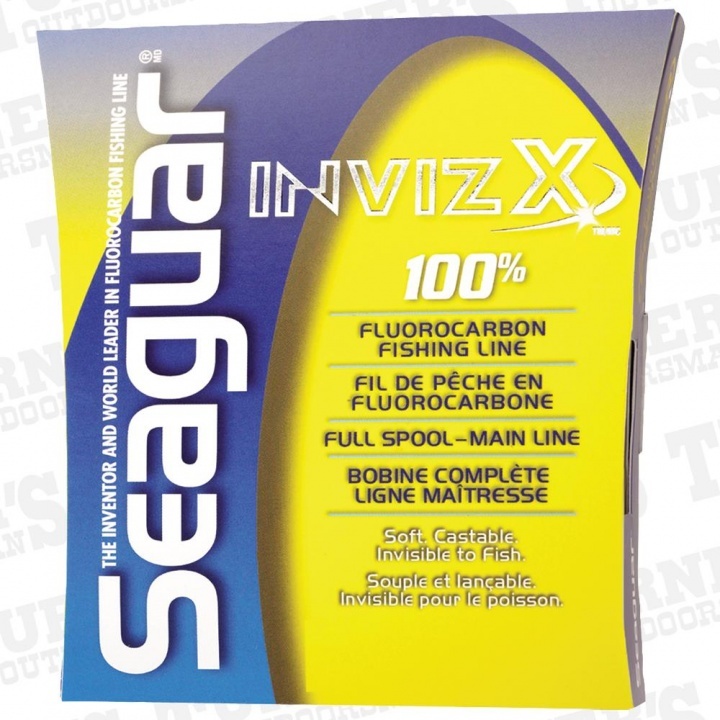 The heavy test fluorocarbon leader will take the abuse of rubbing weeds or scraping rocks. It will also withstand most Northern Pike attacks too. Casting or Trolling – Here, the season does come into play… a little bit. 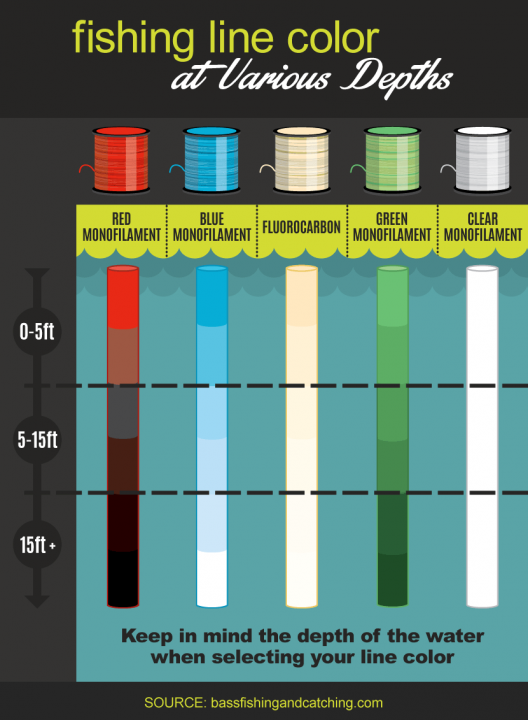 In the spring and fall when air temperature is cooler, I opt for monofilament line. Where as during the warmer days of summer, I lean towards braided lines. Mono doesn’t throw as much water off my bait casting reel as braided line does. Keeping my fingers dry, keeps them warmer in the cool weather. When the weeds are up in summer, braid also excels at abbraision resistance. I will tie a fluorocarbon leader on and sometimes I don’t. Sometimes I will use a snap to quicken lure changes. They also make fluorocarbon leaders with swivels already attached. Just like trolling walleye, line colour isn’t crucial but keep it to subtle colours. Whether you are trolling, jigging or casting, a no stretch braided line should be on your reel. Lake Trout have a strong jaw and when you have a lot of line out, the braided lines really help with the hook set. 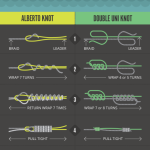 Most often, I am tying directly to the braided line. All of the applications for casting, jigging and trolling should be taken into consideration when bass fishing. Another point to ponder when choosing line colour is lure colour. I am a firm believer red is an important colour on my lure. Even hooks come in various colours. Red being one of them. If I think a fish bites because of the red hook, do you think I should use red line? The same goes for other highly visible colours. When choosing a line, simply look at its characteristics and see if they fit your application. Bright catch the angler’s attention and work well when they need to be seen. 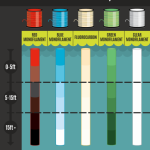 Otherwise sticking with clear and shades of grey and green are safe bets for most waters. Taking the time to make your line invisible to the fish might not be important on the days the fish are biting like crazy and they are hitting bare jigs. But when they are nibbling and being finicky, every little bit helps to put fish in the boat! 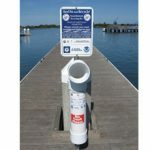 Please remember to dispose of used fishing line properly. Recycle where possible. At camp, I either melt it into a glob or snip it into short pieces.